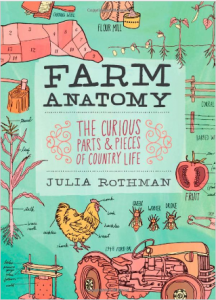 This is one of the newest books I’ve just discovered, and is perfect for anyone what wants to teach children about farming, gardening and animal husbandry. The illustrations are absolutely fantastic and it makes a great coffee table book! 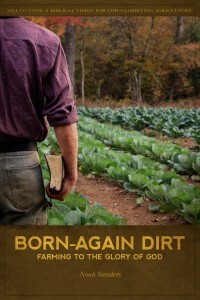 Noah is a young farmer who is seeking to apply the Bible’s wisdom to his farming and family lifestyle. 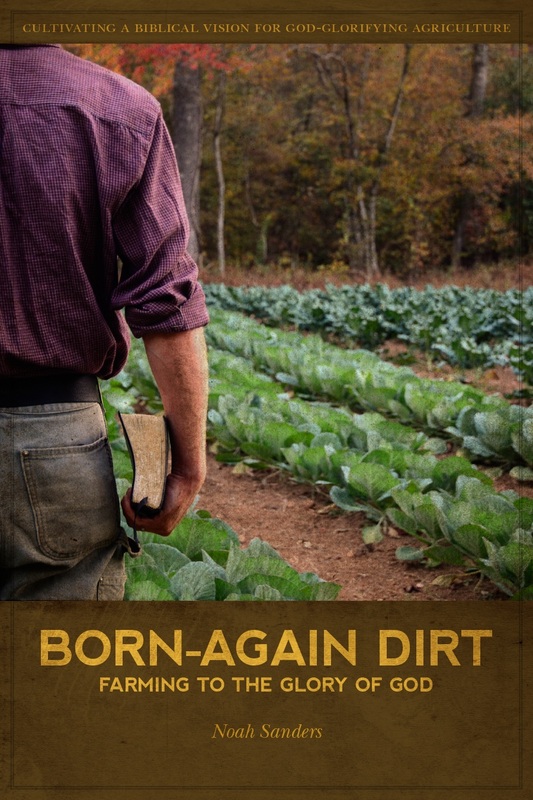 He provides a great lens through which to view any agrarian pursuit with a goal of glorifying God, whether it’s how you treat your soil or raise chickens. 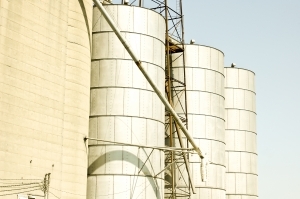 Also, be sure to watch the recording of Noah’s webinar if you haven’t seen it yet. 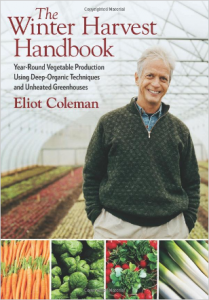 Eliot Coleman is the recognized expert in year round gardening. Likely because he grows his market crops off-season. In the winter. In Maine. 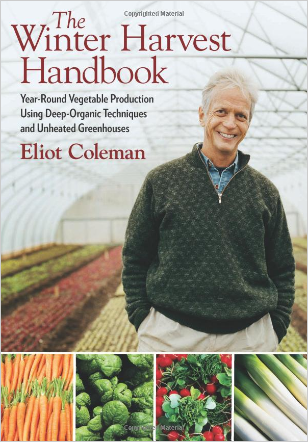 This is the best book if you want to implement season extension for your garden. Backyard chickens are making a comeback. They are the ultimate food waste disposal tools and provide fresh eggs and compost for your garden. This is by all accounts the best guide to raising chickens and other fowl. Rodale is a long-time standard in publishing great gardening resources, and I’ve used their big reference books for years. 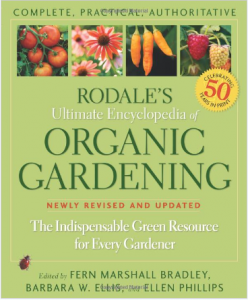 This Ultimate Encyclopedia of Organic Gardening is one of the latest that needs to be in every gardener’s library. One of the most important aspects of leading a healthy lifestyle is to put first things first. 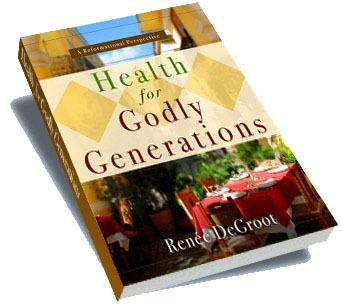 Renee DeGroot provides good food for thought about how the Bible provides guidance for healthy living and food preparation. If you haven’t seen it yet, be sure to watch the recording of our webinar with Renee. What do you think? 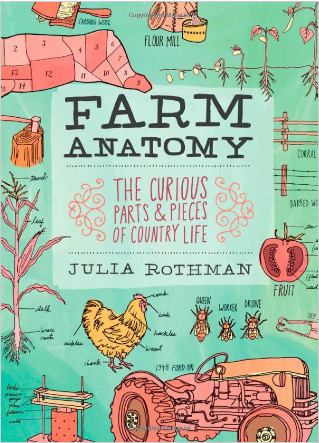 What are your favorite books on gardening and backyard farming? Let us know in the comments. 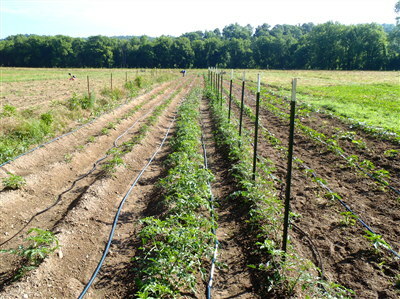 It is a very busy season around the farm here, and it is hard to take time to blog. I guess blogging on a farm changes with the seasons along with everything else. 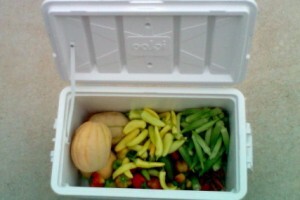 The Lord is very gracious and merciful, and has blessed our growing season more than my skill and efforts merit. May he help me to be faithful in the little things everyday. The picture above shows the beautiful garden of a dear family that we visited this past weekend. The following is an excerpt from my book that several people have said they appreciated, so I thought I would share it with all of you. One thing that could help promote a better sense of stewardship in our hearts is taking a walk around the farm. The goal of the walk should not be to dwell on the work you need to do on the farm, but rather to simply walk the farm with its Owner. Apparently God walked with Adam, the first steward, in the garden of Eden. And I think the Lord would enjoy walking with us around the farms He has given us. On your walk with the Lord go alone if possible. Pray out loud or whisper if that would be more comfortable. But just talk with the Lord and give Him a tour of the farm. Give Him thanks for all that He has blessed you with. 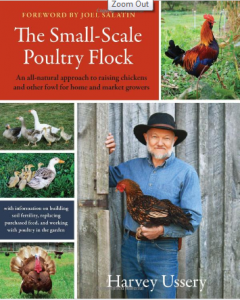 Show Him the garden, the chickens, the pasture, the greenhouse, the cows—whatever you have, and give Him an account of how you have been caring for and working them. Acknowledge that they all belong to Him and ask Him to show you how you can better manage them. When you come across the chickens that are walking around in mud because you have been putting off moving them, then repent and ask Him to help you do a better job. Tell Him about the problem you have with disease on your tomato plants, or erosion in your newly planted pasture and ask Him to show you a solution. At times just be silent and observe. Look at His design in Creation. Pay attention to the needs that you may have previously overlooked. And give notice to any opportunities that He may reveal to you, like the acorns in the woods that could be fed to the pigs. At the end of the walk give thanks to God for granting you this land and dedicate it to His glory. The first thing we did was bring up several loads of composted hay/manure from a spot where cattle had been fed round bales outside several years ago. We covered a 15ftx25ft area with this material about 8 to 10 inches deep. Some of it was well rotted compost, some was half decomposed hay and some of it was clay. 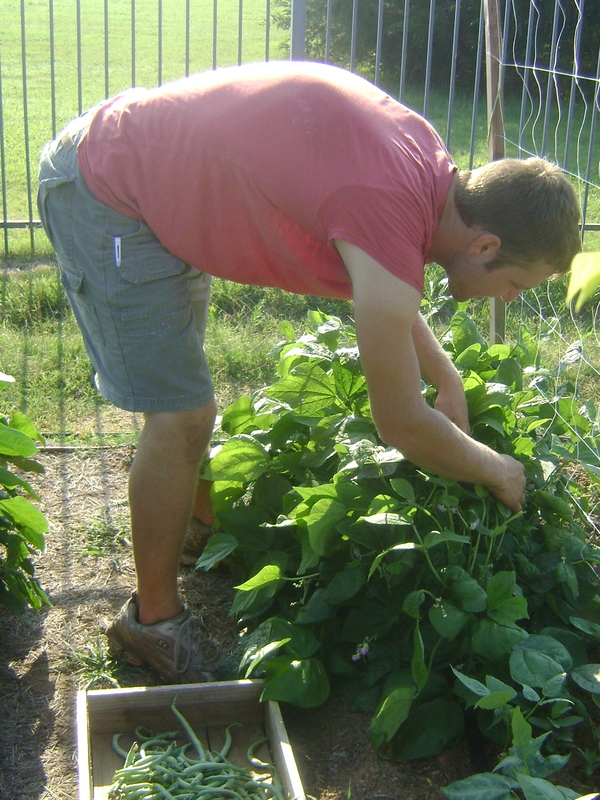 Next we planted 50 lbs of potatoes intensive style, about 12 inches or so apart across the whole area. We didn’t bury them, just layed them on top. After we got the potatoes on the ground we brought over a round bale of hay that was baled with a roto-cut baler. We spread 3/4 of the bale over the spuds. Composting. It's one of the most wonderful and mysterious processes in God's creation. A sign of our mortality and yet a giver of life. The deep thoughts could continue for a while, but you want to know about power tools, right? 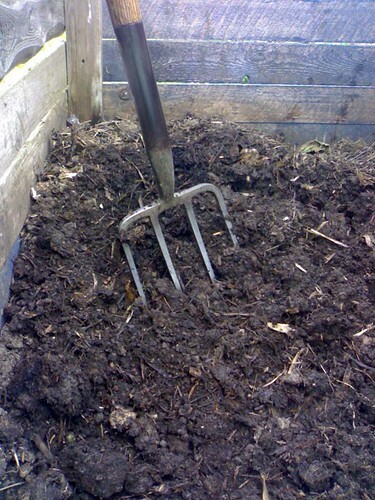 So if you've ever used the traditional method of turning compost with a garden fork, you were one of the fastest to click through on this post, because you know what difficult, back-breaking work it is, and how ineffective it can be (unless your pile is rather shallow). I've got good news! Save the fork for turning soil in the garden. 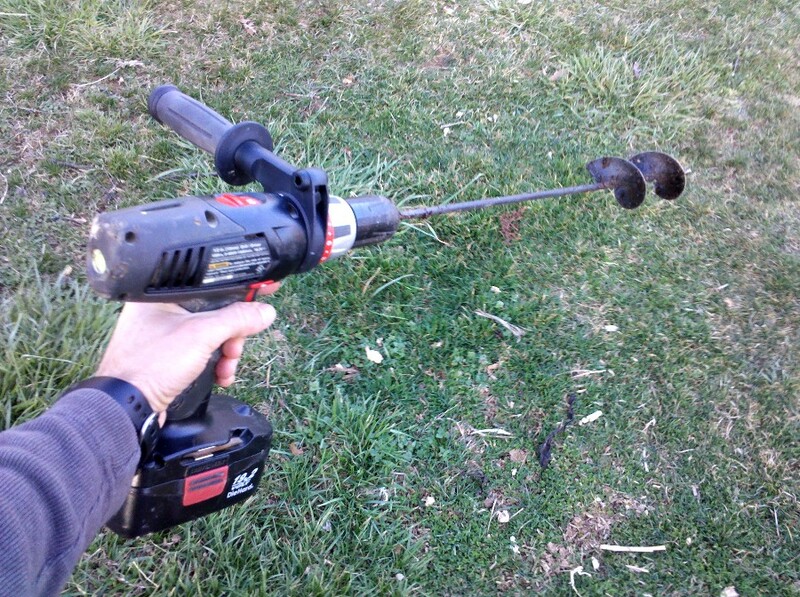 Enter… the Garden Auger! This simple attachment (AKA the "Yard Butler") is a 2-3 foot long rod with an auger screw on the end that fits most 3/8" or larger electric drills. While it is ostensibly designed for digging holes for planting bulbs or spot tilling around plants, I think that it's most powerful application is for turning compost. Rather than using your arms for leverage to lift heavy wet organic material, let the beauty of a strong cordless drill with a garden auger attached do a better job of mixing your compost with much less work. Not only will it be easier, but it will mix between layers of compost in a way probably unattainable by any other method. 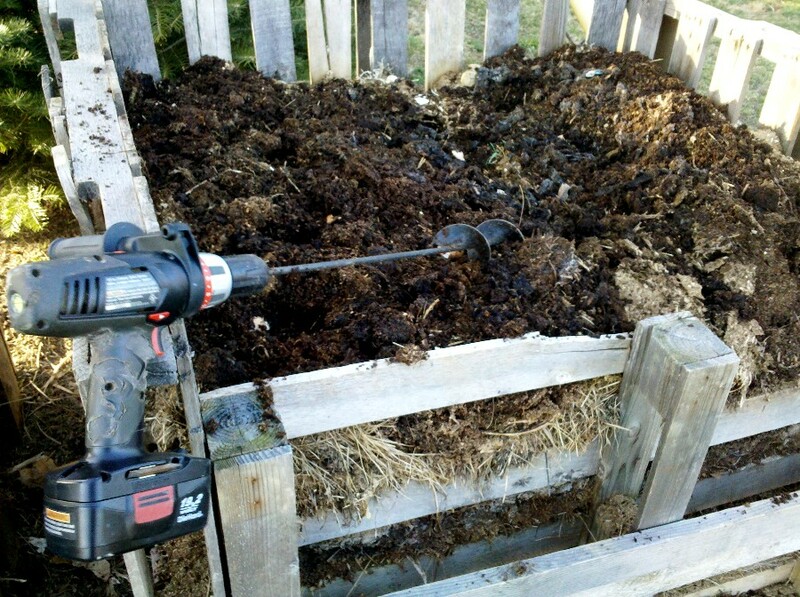 Important to note: the resistance of the compost material will create a high-torque rotation that you will have to counter, so I highly recommend using a drill with a second handle attachment to gain the leverage needed to keep the beast in line. If you're not already convinced about the supremacy of this Tantalizing Tool of Torque for Turning your compost, consider this: I was able to mix two compost bins in about 10-15 minutes total. Turning by hand with a garden fork would take at least twice and long and wouldn't do half the job in terms of quality. So what are you waiting for? 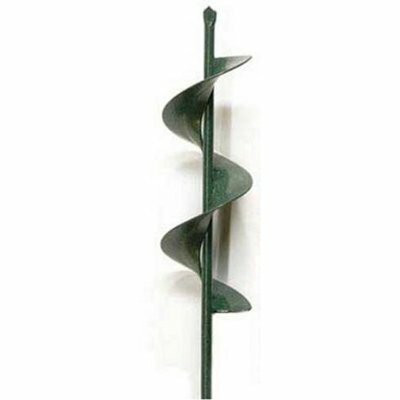 Order your garden auger today! While you're at it, order an extra one or two to give as gifts – it's some of the best money you can spend in garden tools. Have other great tool recommendations for gardening and farming? Let us know in the comments so we can share! It's been on my project list since last spring, but I never quite got to it. 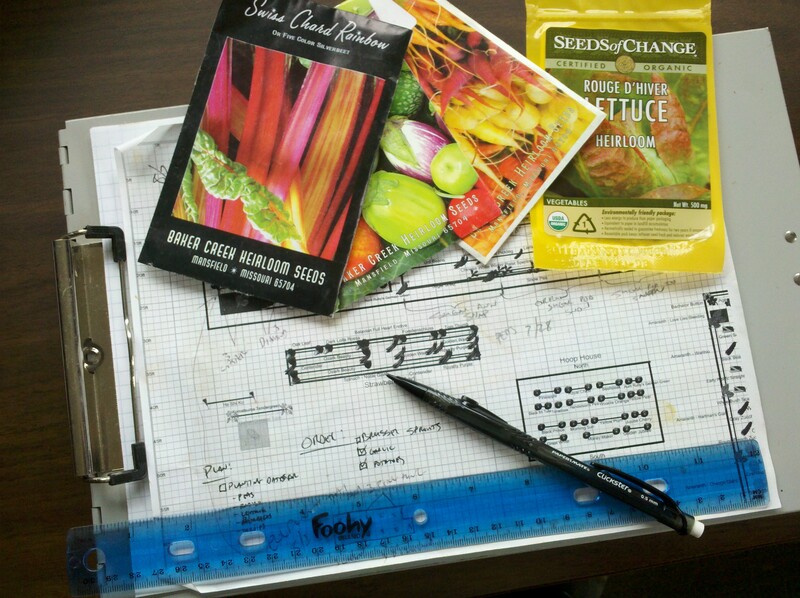 I've been acquiring the materials and planning to build some cold frames for season extension for a long time, but it was only last week that I finally pulled the trigger and did it. 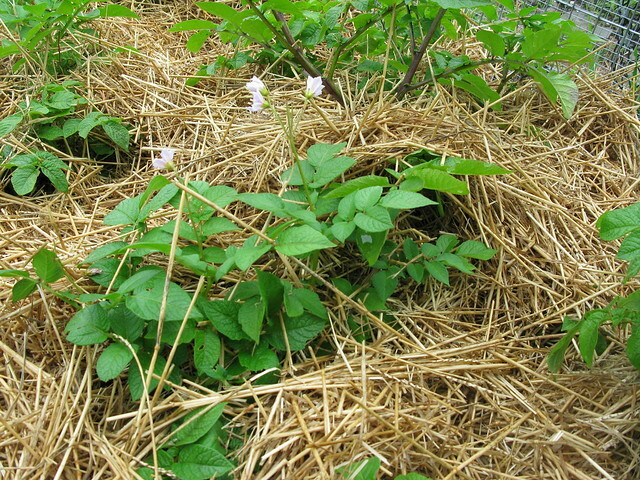 There was really cold weather and snow forecast for our area in the mountains of western Virginia, and I realized that frigid cold and snow would push the limits of the groundcover cloth I had been using for frost protection. 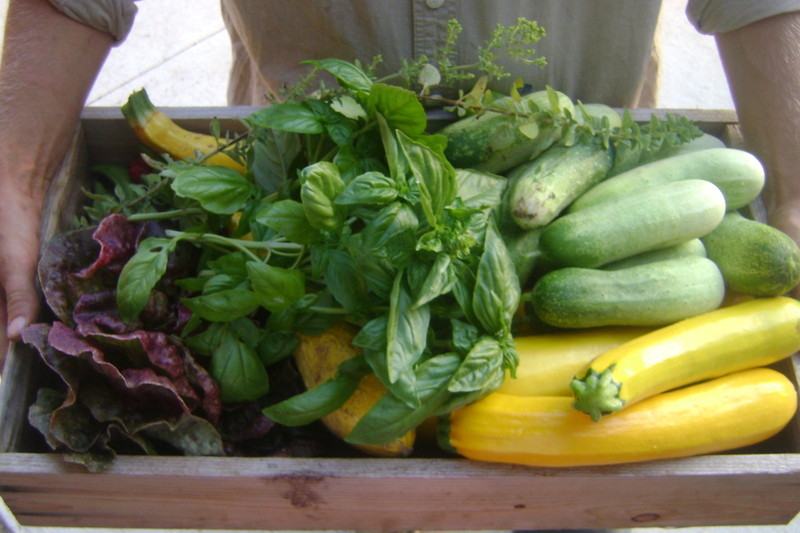 I had a bed of lettuce still growing – volunteers from my harvesting of seeds from the spring crop – and I didn't want to let it die when we could have fresh salad through the winter. So I grabbed two of the storm window panes I had picked up in a batch from someone on Craigslist, took measurements, and built a cold frame to fit the window dimensions. 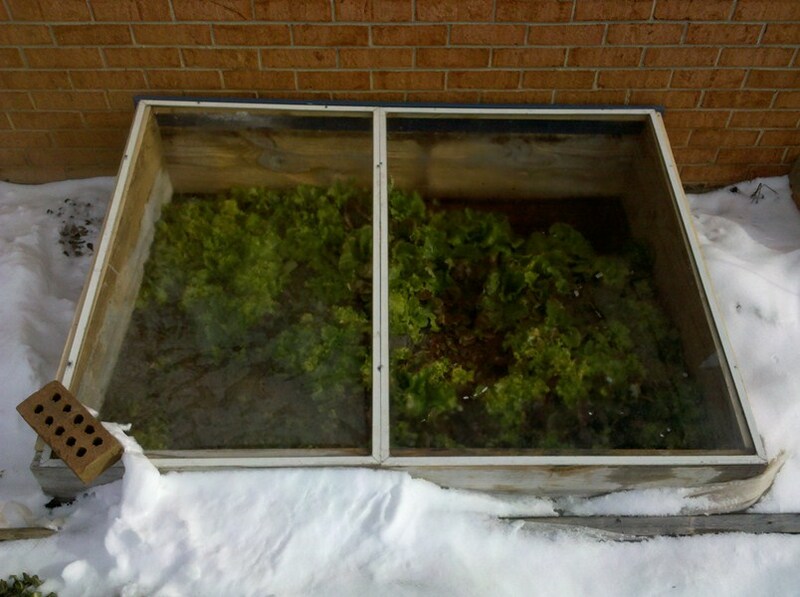 A few 2x10s and some scrap wood did the trick, and the cold frame was in place before the bitter cold (teens) and snow arrives (we ended up getting about an inch). The design was simple – a basic box with 2x10s, plus a 2×6 cut diagonally to create the angle for the windows to rest on, and a strip along the back to create a ledge for the windows to rest and pivot on. I'm using a 2×2 the stretches across the length of the box to prop up the windows to provide ventilation – it can be moved all the way back towards the midpoint and create an increasing gap to provide greater ventilation. 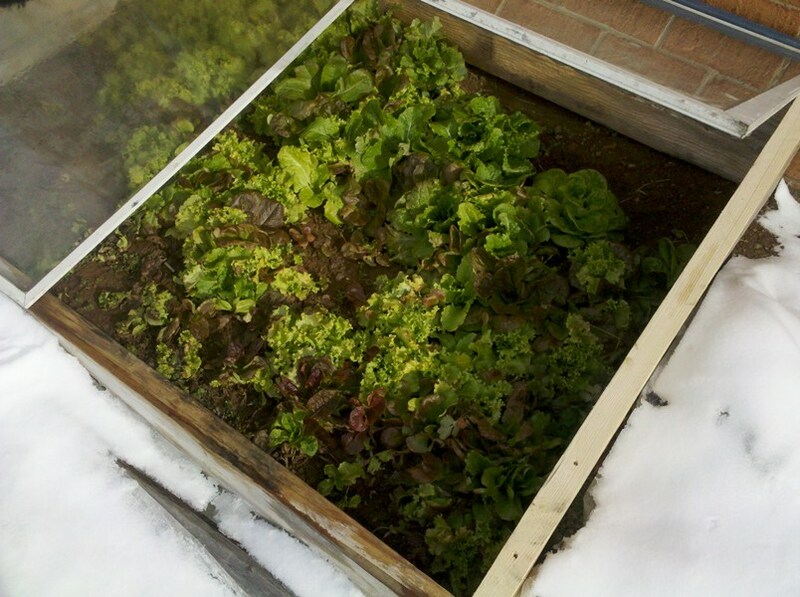 I should be able to keep this lettuce growing all winter with proper management of ventilation for warm days. 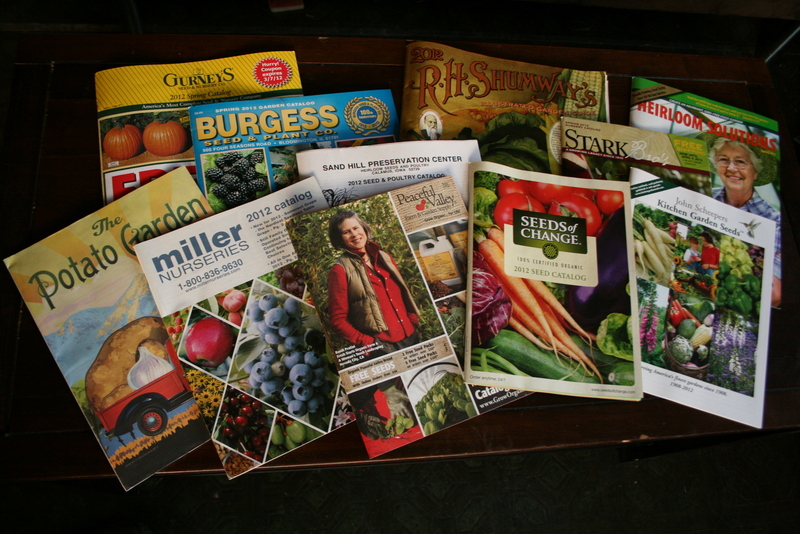 I'll check back in in a month or two to show some progress and relay any lessons learned in my winter gardening. Have you used cold frames before? What other season extension methods have you tried? Please share in the comments, and be sure to contribute to the discussion in our Gardening group.